Home » Training » What Is Ballistic Training? If your training starts to become boring and tedious its time you started to switch up your routine and try something a little different. Perhaps you should try ballistic training? The all-round power and strength training that will have your heart racing and your muscles building. From jumping to sprinting, ballistic training will give you the motivation to break through your training plateau’s and make sure that you keep those gains coming. Adaptable and accessible to everyone no matter your physical or athletic ability, this type of training should not be missed. Ballistic training is often used by athletes that wish to improve their explosive power through boosting fast twitch muscle fibres, which are directly responsible for growth and strength. To give it a wide definition, ‘ballistic training’ refers to an athlete’s body or external object that is ‘explosively’ projected into a flight phase. It’s primarily velocity based lifts that emphasize on concentric (shortening of a muscle) acceleration movements. Ballistic training takes dominance of the ‘stretch-shortening cycle’ (the eccentric contraction, or lengthening of a muscle followed by immediate concentric contraction of the same muscle) which is vitally important for power output and force velocity. To put that into simple terms imagine this, as you squat your stretch/lengthen your quad muscles (eccentric contraction), you then accelerate and jump as high as possible (shortening of the muscle causing an eccentric contraction), easy as that. This ‘explosive’ movement is the key element in ballistic training, and without knowing you may actually perform such movements in some of your gym sessions. For example, movements such as; jumps and throws all form the bases of ballistic training routines. Unlike traditional weight training where heavy loads of weights are used to perform power movements through excessive force, ballistic training maximises your body or object’s acceleration movements to increase your explosive power, pretty neat if you ask us. Why Is Ballistic Training Important for Sport? & The Benefits of Adding It Into Your Workouts. You may be sat there thinking that ballistic training sounds interesting, but as an athlete, why is this important to your performance. Well, to put it simply, ballistic training requires explosive movements which are used in such activities as, pedalling, sprinting, changing direction, pushing, pulling, throwing and kicking, which basically covers all activities in all sports. It’s starting to make a little more sense now. Although power itself is not a measure of sporting ability and that skill and work rate overtakes this, it’s essential to note that an increase of power output has been shown to be a large factor in the level of participation (amateur, semi-professional & professional) that being those taking part in a higher level have a higher amount of power. This has been seen in many sports including, sprint cycling (Martin et al 2007), rugby union (Argus et al. 2012), rugby league (Gabbet et al. 2013), netball (Thomas et al. 2017) , taekwondo (Giroux et al. 2015), ice hockey (Burr et al. 2007) and American football (Harris et al. 2007). Of course, those that participate at higher levels are subject to more training sessions, but as such a reason why they must train for high power to compete and maintain their position. Furthermore, ballistic training has also been shown to produce a higher rate of force development (RFD), which in recent years has been argued that the ability for athletes to achieve maximum force production more rapidly is greater than actual levels of force achieved, and therefore implies an improvement of sports performance (Stone et al. 2003 & Suchomel et al. 2018). So next time you’re in the gym wanting to improve your power it doesn’t matter how much weight you are throwing about, switch it up to ballistic training and you’ll start to see the results. As we’ve talked about ballistic training helps to build up our fast twitch muscle fibres (Type 2 Fibres), which in turn can contribute toward an increase of muscle mass. However, the tried and tested method of building muscle is through weight training. This weight training results in an increase of slow twitch muscle fibres (type 1 fibres), rather than type 2. Yes, this type of training will give you gains, however at some point during your gains there will become a time where no matter how heavy you start lifting it just doesn’t make a difference on your size. The simple reason behind this is that during these slow weight training movements muscles have built up too many slow twitch muscle fibres and not enough type 2 fast twitch muscle fibres. By incorporating ballistic training into your weight training you’ll start to build up these type 2 muscle fibres and have a greater chance to break through your gains plateau. This doesn’t mean you should completely stop your weight training and only train ballistic routines, as weight training does also increase power and strength, but by having both in your sessions will give you the best possible chance of reaching your muscle building goals. As with any new training regime or exercises, it’s important to start off steady and build up over time. More so with ballistic training, as dependant on the exercise being completed, it can put excessive stress on joints, which over time can become painful or even worse result in injury. For coaches implementing this into a training programme, the most effective way to get the most out of ballistic training is for the individual to develop high levels of strength first (Cormie et al. 2011), this will then reduce the chances of injury once the new training method is started. One of the main advantages of Ballistic training is the sheer number of different exercises that can be performed literally anywhere, you don’t need to be in a gym for this. See below for some basic ballistic training exercises. If these become a little too easy, simply add some small weights, increase the height, or reduce your recovery time. Jump Squats – An easy but effective ballistic training exercise. To perform, simply squat as far down as possible and vertically jump off the floor, returning to your original position in a controlled manner. If you’re feeling adventurous add some weights into the equation for added resistance. Push Presses – Very similar to a military press, start in a standing position with the bar at collar bones height supported by your hands. Simply by doing a quarter squat dipping quickly and then accelerating up through your body pushing the bar up and past your head. It’s important to note that this movement first starts with driving power through your legs and then into your arms and shoulders. Once the bar is overhead and fully locked bring back down in a controlled manner to your original position and repeat. Medicine Ball Throw – The medicine ball can be used in many ballistic training exercises, we’ll give you 2 good ones here. The first one simply lay on your back with the medicine ball on your chest. Hold the ball at the bottom, squeeze, push and release the ball once your arms have fully locked. Catch the ball and again return it in a controlled manner back to your chest & repeat. This can also be done standing up and throwing the ball at a wall. The second and our favourite, the medicine slam throw. Start with holding the ball behind your head, stood up with your knees slightly bent. Extend and push your legs, while doing this bring the ball over your head and throw down to the floor releasing the ball around chest height, this must be done with force to make the most out of the exercise. Slowly pick the ball up using your legs (not your back) and repeat. Short Sprint – Perfect for anyone wanting to boost their power and reaction time in their legs. Start in the sprint position, with your hands on the floor, one leg extended and the other slightly bent, keeping your head up in front. Simply burst out of the position and sprint for 5 yards. It’s important to alternate legs here. What supplements should I take for Ballistic Training? Recovery, recovery, recovery. 3 words you need to live by when ballistic training is used in your workout routines. As you’ll be maxing out your muscles during these exercises its essential that your muscles are given adequate time to recover and are well maintained through your nutrition. We’ll put our recommendations of what you should be consuming below. When we maximally exert ourselves creatine is used in the cells of our muscle to help regenerate energy. To get scientific – when we exert ourselves, a muscle will convert ATP (adenosine triphosphate) to energy leaving a useless ADP (adenosine diphosphate) molecule that must be rapidly converted back to ATP to sustain the effort. ADP is converted back to ATP via a molecule called phosphocreatine. By donating its phosphate, ATP is formed leaving creatine. Therefore the faster we can reconvert creatine back to phosphocreatine, the faster we can reproduce ATP from ADP for muscle contractions. Want a little more info of how this awesome supplement can help you? We have another article for that right here. Beta-Alanine is the building block of carnosine, a molecule that helps buffer acid in muscles during exercise. Without Beta Alanine our body has a limited amount of carnosine available. 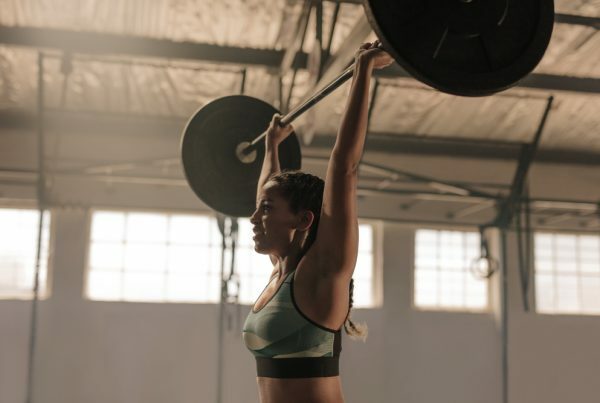 By adding Beta-Alanine to your arsenal you could improve your performance in that all-out effort range by maintaining pH levels inside the working muscle. When acid levels in the muscle increase, the muscle cannot create the energy it uses to move. That’s just a little summary of this amino acid if you fancy reading a little more click here to be directed to our beta-alanine article. Combing creatine and beta-alanine together in your supplement stack is the perfect performance enhancer, read a little more about it here. Protein is the number one DOMS Killer (delayed onset muscle fatigue). When we workout our muscles are subject to ‘micro tears’ which is the reason for our muscle feeling sore the day after a hard session. Protein helps to speed up the process of recovery and is responsible for repairing and rebuilding our muscle mass. Protein shakes are also seriously tasty too…well only if you sip ours. You should try Whey Protein 360 Extreme Chocolate Silk if mouthwatering tastebud pleasers are your thing. Learn some more nutritional nuggets about protein by clicking here. As your body and joints will be put under pressure and stress during these explosive ballistic training sessions, it’s incredibly important to maintain joint and bone health. Vitamin D3 not only helps to boost your immune system and enhances recovery but it also helps calcium absorption helping to build strong healthy bones keeping your body working like a well-oiled machine. If you’re interested in feeding the machine and want to find a little more out about vitamin D3 our article can be found here. King of the fish oils, Omega 3 is the premium joint health supplement. It’s been shown to enhance joint recovery and even the maintenance of normal blood pressure levels and normal function of the heart, not bad for an easy to consume soft-gel. Sounds pretty good right? Click here if you want some more info about this fishy friend. Oh and vegans, don’t fret, we also have Vegan Omega 3 too.